Kristen likes candy. No scratch that, Kristen loves candy. However he doesn't eat it that often. But under the right circumstances he can be easily lured...for example this past weekend we headed to Niagara Falls to show my cousin (who's like a sister) the sights. 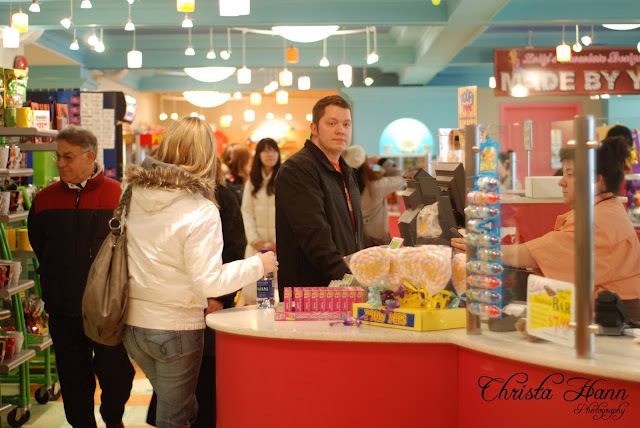 Kristen making his purchase....a very expensive one at that I might add. 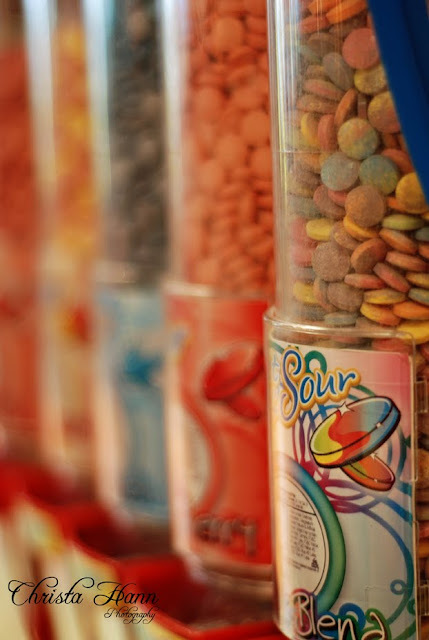 Tourist attractions should be ashamed for charging so much money for flippin' candy! And the candy was good too, he was willing to share!